Good news, laptop bag lovers! The ever-stylish Melissa Beth is having a sale on her laptop bags. A crazy amazing sale! Her "Pocket Full of 'Puter" bags were one of the first designer bags on the market and one of the bags that got me started n this crazy "writing about laptop bags" journey. 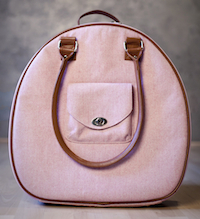 She's a Toronto-based designer and is working on all kinds of great bags (not just laptop bags) for ladies and moms. And she's having a crazy sale on her "Half Pocket Full of 'Puter" bags! 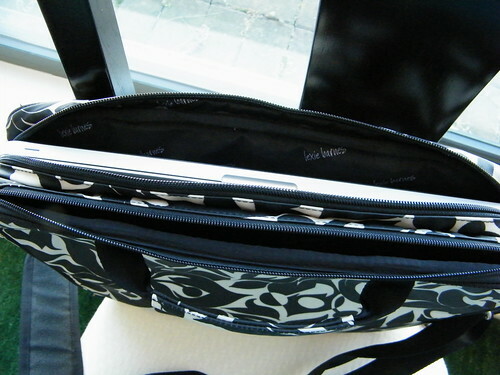 The "Half Pocket" bags are perfect for smaller laptops - like the 13" Macbook (I'm still amazed at how many people have these) as well as tablets (I know my iPad likes to be cosseted in small, cosy bags). Note: Blue and Orange do not have a printed outer pocket. The bags are regularly $149. She has them on sale for $75. But then you can use the code 50offHalfPocket and get another 50% off. That makes these bags $37.50! Offer expires Jan 31, 2014 or until quantities are gone. 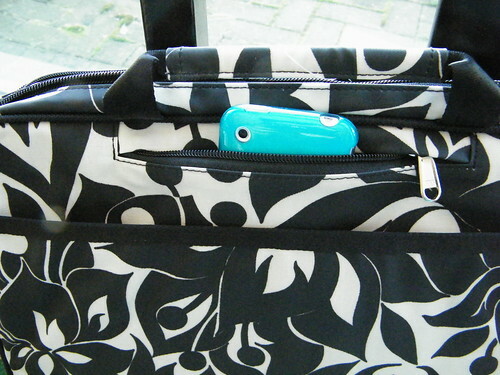 Review of Lexie Barnes' Stylish Echo Laptop Bag PLUS a coupon for free gift! Lexie Barnes has updated her Echo Laptop Bag - not only with new fabulous fabrics, but with a double compartment and a secret pocket for your phone or keys! Love. It. Check out my full review of the Echo over on Squidoo - or just hop on over to Lexie's site to order. The Echo sells for $119 USD. And as a delightful spring bonus, Lexie's given us a coupon. Use FUNCHICO at checkout and for any purchase over $100 (whether the Echo or another of her fabulous bags - her McCoy overnighter, especially in the Kiri fabric, is a winner) she will include a free Mini in matching fabric with your order. Good til March 15, 2010.